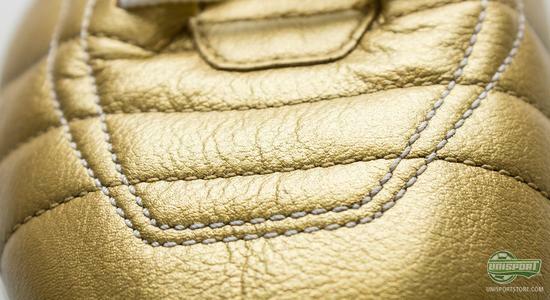 It's time for this weeks memory lane and today we'll be taking a look at one of the worlds most recognisable football boots, worn by one of the worlds most loved players. 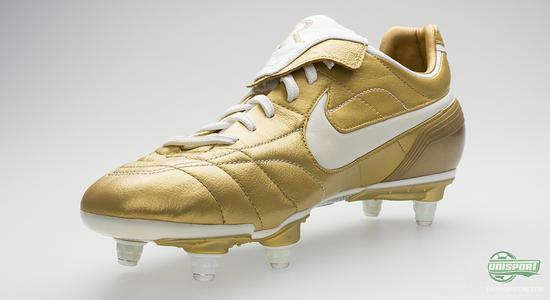 The boot in question is Nike Air Legend R10 Gold/White, that helped produce magic on the feet of no less than Ronaldinho. In the year of 2003 the French capital-club, Paris Saint Germain, could no longer keep secret, that they had in their midst one of the worlds most talented players. It was of course the Brazilian Ronaldinho, who in 2 years in France had, 55 games and 17 goals, already to his name. Sensational dribbling, Impossible control, incredible assists and immense solo-goals where just a fraction of his repertoire and when the transfer-window opened in the summer of 2003, the clubs fighting for his signature where many. Manchester United long looked like the most viable candidate, but when Barcelona didn't manage to sign David Beckham, like the club-president Joan Laporta otherwise had promised, a fierce bidding war with the English giants began. 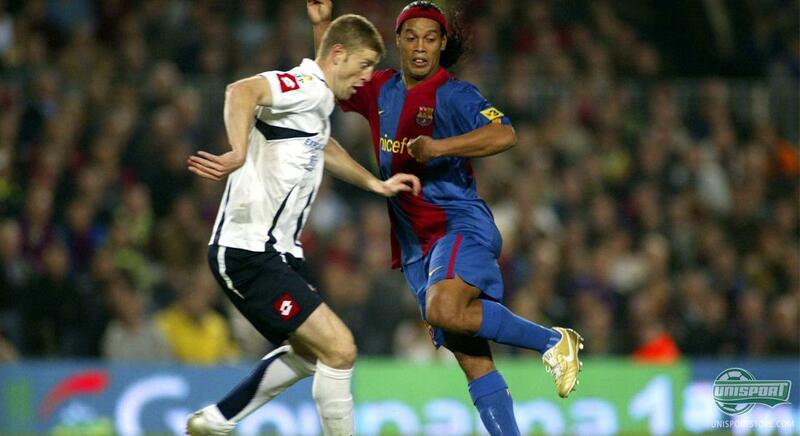 In the end Ronaldinho signed with the Catalans and that would soon turn out to be a rather good decision. The Brazillian turned out to be a giant success at FC Barcelona, where he enchanted the audiences with hypnotizing technical-ability, master-class support-play, magnificent free-kicks and his ever happy and humble approach to both the press and football. 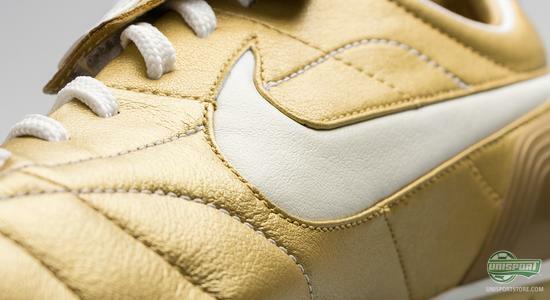 From 2004-2007 the number 10 was among the undisputed footballing elite and that was rewarded, with a contract at Nike. His reputation continued to grow and that's why the American sports-giants, for the first time ever, launched a pair of boots dedicated to just one player; Ronaldinho. The Result was the elegant Nike Air Legend R10, that was released in a colourway, truly worthy of footballing royalty. 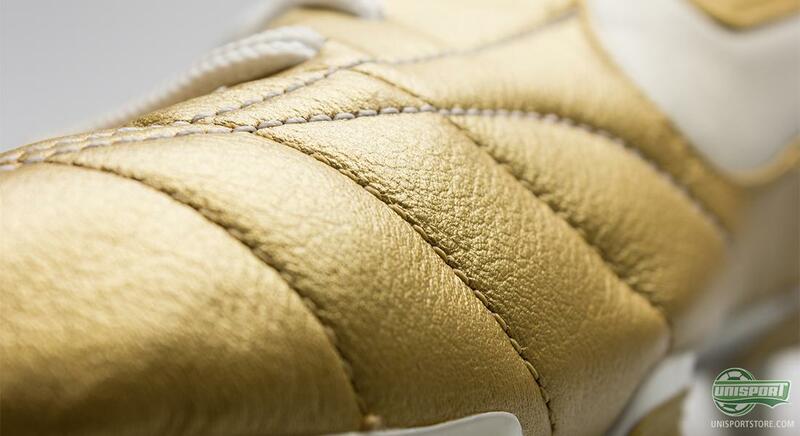 And what colour would you choose, for a player who wins the FIFA World Player of the Year two years in a row? 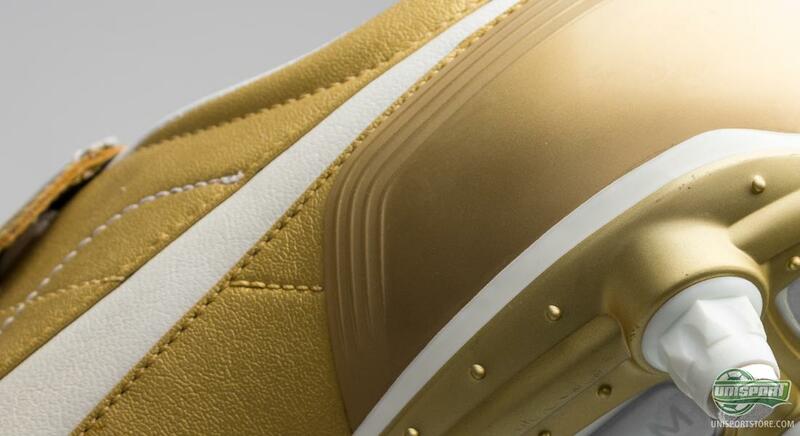 Gold, gold, gold and to finish of, just a bit more gold! The living, Brazilian legend was actually a bit of a boot-nerd. 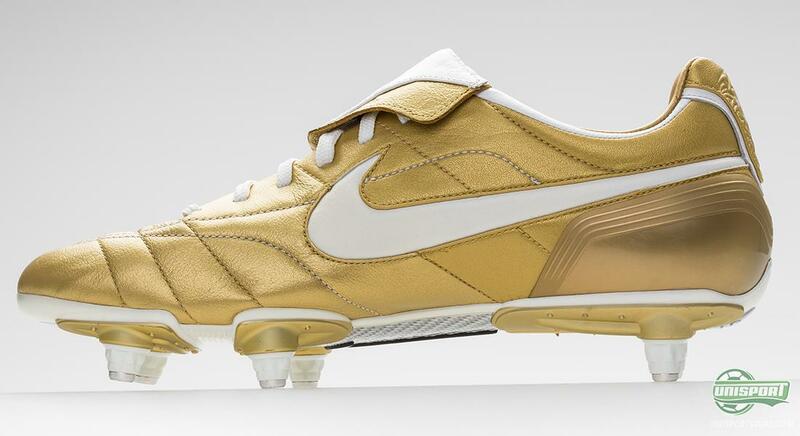 Although he played in the simplest and most classic boot in Nikes range, he was very quality-conscious and knew exactly what a good boot needed. On the bottom of the boot, Nike had used a fiber-glass outer-sole with the Air Zoom-technology, which was very shock-absorbent without compromising on the flexibility. 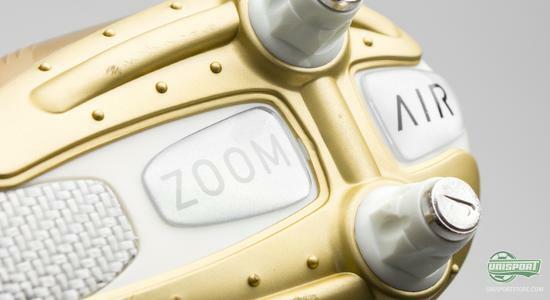 On the SG-model, the R10 was preferred with the classic constellation with six studs, whereas the FG had opted for the conical and very soft studs, so he could twist and turn with ease and keep full control of the ball. Control was one of Ronaldinho's chief attributes and his personally designed boots served him well in that respect. Nike Air Legend R10 was made with an amazingly soft, kangaroo-leather, upper, that with intricate stitches, on the nose of the boot, made the boot follow the foots every curve and ensured great movement. This helped give the very high levels of comfort, that the boot was famous for. In his time at Barcelona, Ronaldinho managed to play 145 games and score 71 goals  that's roughly a goal every second game. We tip our hats in honour, for one of the worlds most talented and prolific profiles ever. There are probably many, regardless of team-affiliation, who remember the legendary game, between Real Madrid and Barcelona, where Ronaldinho almost single-handedly, ripped apart the Galacticos at the Bernabeu and as a result prompted a standing ovation from both teams sets of fans.  They where all struck with awe. He was a man who understood what entertainment was, whether it was with football-tricks or samba-dancing, he never seized to amaze. That's why we would like to round of, with one the more famous clips from Ronaldinho's career. - He receives a pair of Nike Air Legend R10 Gold/White and after a bit of nifty juggling he intentionally deflects the ball of the crossbar a few times. 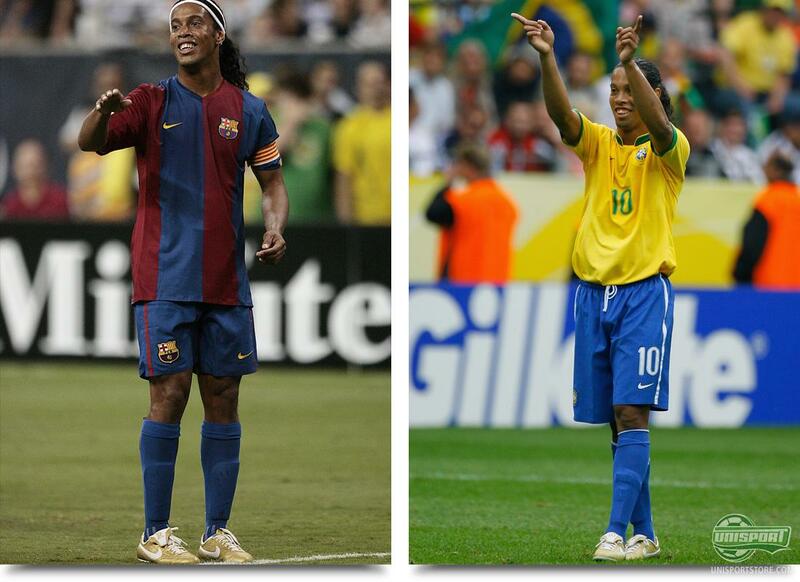 We miss Ronaldinho from when he was in his prime, as much as we miss the fantastic boots, that followed. 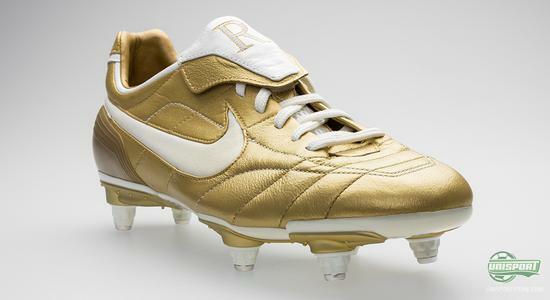 Several brands have announced, that kangaroo-leather is going out of fashion, in the production of football-boots and that might spell the end of boots like the Nike Air Legend R10. 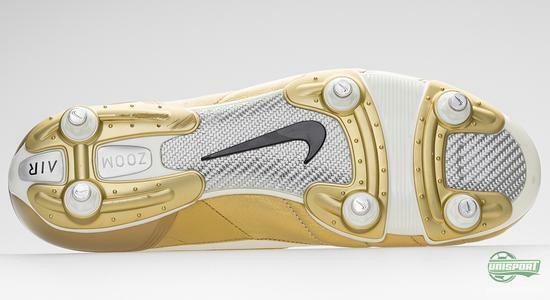 What do you think of the elegant Nike Air Legend R10 Gold/White? 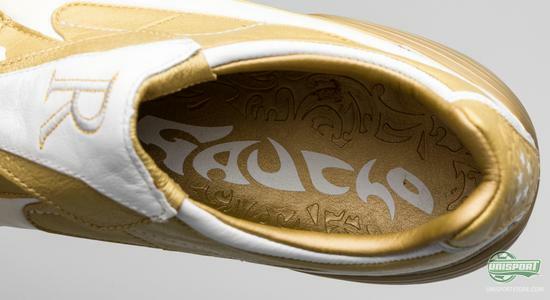 How do you remember the gentleman who wore them? Tell us in the comments-section down bellow.